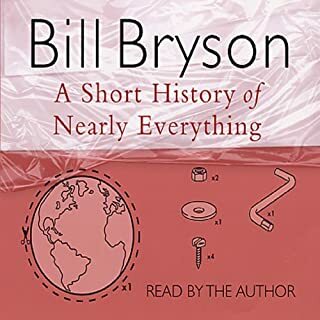 Bill Bryson presents a fascinating exploration of the history of the English language. 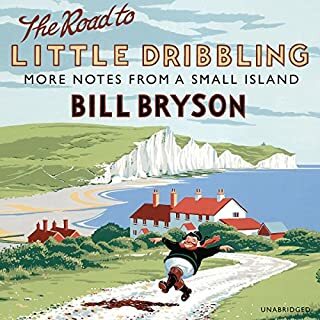 This highly entertaining BBC Radio 4 series is written and presented by Bill Bryson and based on his best-selling book Mother Tongue. In it, he romps through the history of Britain to reveal how English became such an infuriatingly complex - but ultimately world-beating - language. 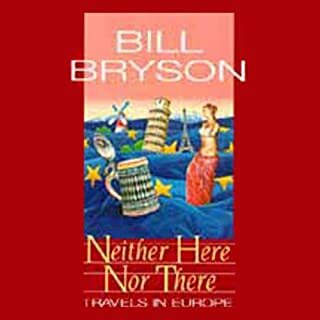 Bryson explains how English has been shaped through invasion and conquest, as well as the rules that brought order to a disorderly language, the million and one ways to have fun with the English language, and the struggle with phrasal verbs (including the way things often get lost in the translation). And finally, he contemplates the future of English. Does Estuary English really Rule OK? If you can read this, buy this programme! English. Many of us who speak and read it take it for granted. But what a marvellous history it possesses. 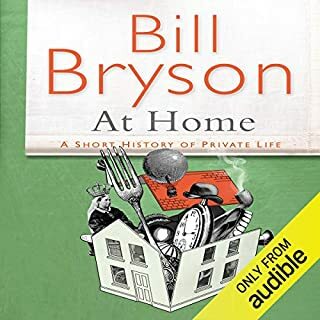 Bill Bryson has a talent for taking complicated academic subjects and turning them into compelling stories; full of quirky anecdotes, unusual facts and memorable characters. This six-part radio series is a great example of that talent. The story of English is fascinating. And more fascinating being told by Bryson and his collection of experts. 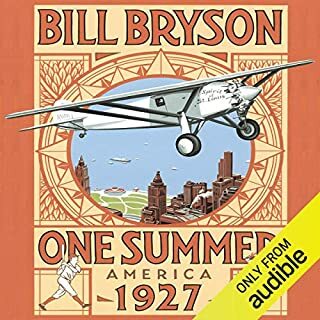 Anything Bill Bryson has done recently gets my vote - but his audio books are great, as long as they are read by himself (the other narrator who does his work rather irritates me). Journeys in English is so supremely interesting and yet an easy listen too, that I have listened to it several times. A feat only beaten by his other two fabulous books (At Home and A Brief History) which I have also listened to multiple times. All I can hope is that he releases some more audio books before I learn his current ones verbatim. With this book - following as it does the BBC Radio 4 programme or is that was the programmes gives us a taster as to the origins of our language - said by many to be the or one of the most colourful and diverse languages on the planet. There's a problem though.. thus only 4 stars not the 5 it should have had ? 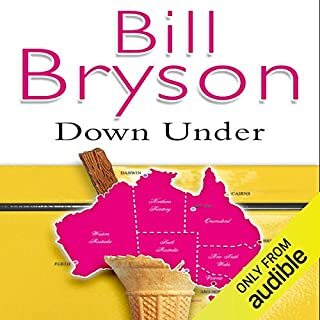 Mr Bryson himself is a great author - I know I have all of his other works... BUT in my opinion he should leave the reading of them to others with greater depth of tone and rhythmical speech. William Roberts for example has read most of the other works available here and he is great in giving Mr Bryson?s books voice. 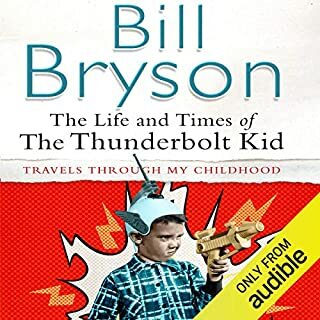 The Life and Times of the Thunderbolt Kid also suffered for the same reason. 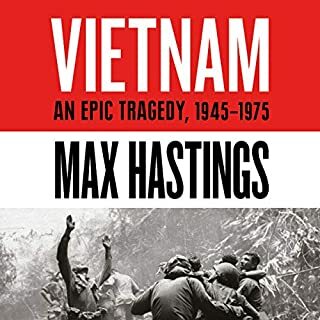 I have been critical of other books due to the person reading and stand as I did before by the remark this is my view and who am I to criticise? 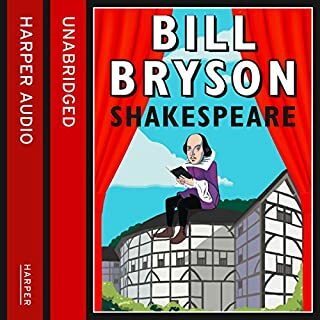 I cannot claim any special knowledge or understanding in matter lyrical but I know what I like when it comes to audiobooks. Despite this you should finish the book with a thirst ? to learn more about our great language. 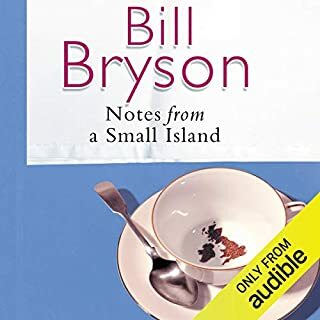 As with all Brysons books this makes for a fantasic read (or listen). There is something about the way in which he uses hunour to inspire understanding and learning. I always learn from Bryson and feel better for the humour. 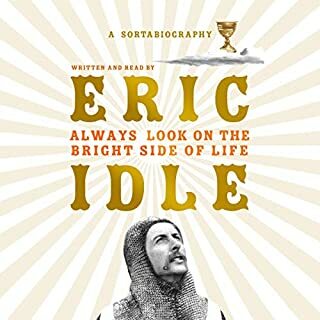 It is dangerous to listen to this book in a public place for fear of laughing out loud and being seen as slightly nutsy! Beware! 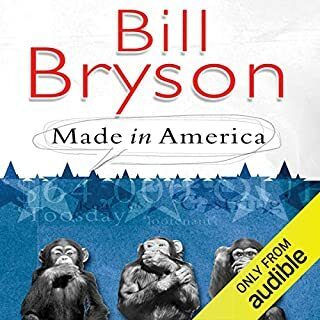 Bryson's look at the history, impact and intricacies of the English language is easy to follow with interviews breaking up the narration. 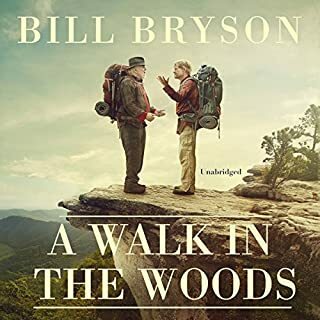 These breaks are welcome, however, for even though the content is varied and well put together, Bryson's voice lacks intonation. Overall I enjoyed listening to 'Journeys in English', and if you have even a small interest in our language I'm sure you will too. 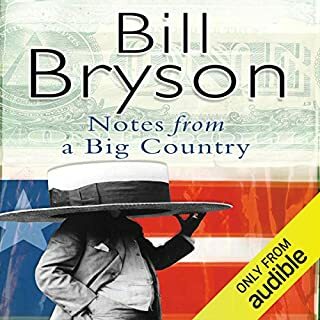 Bill Brysonis always very entertaining and informative, reads the book in an easy way. Excellent mixture of fact and amusing incidents, one feels to be with him every step of the way. Would recommend it highly. It was interesting to hear how our language has evolved. The part about the different roots of the words for meat and words for live animals. It could be done because its fascinating but I listened in chunks and I listened to some parts several times. I would recommend this book, it is very interesting. Would you consider the audio edition of Journeys in English to be better than the print version? 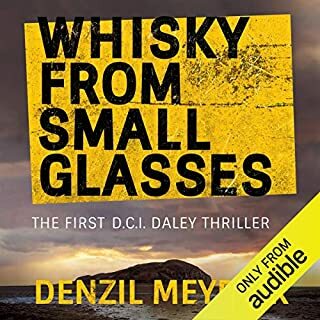 I haven't read the print version, but I really enjoyed the way the audio edition allowed people to be interviewed rather than just selected comments to be placed in the text. Really interesting to understand the English language more. No, I listened to it over several session, which was fine as it was a number of episodes. For anyone interested in the English language, this is a fascinating and intriguing book by a knowledgeable writer. Really enjoyed this hands on approach to language. The mixture of location based narrative with examples was good. 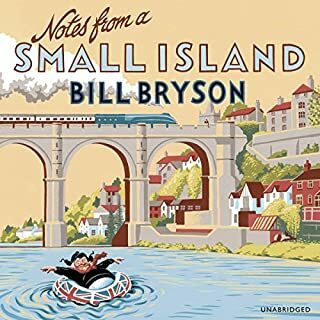 Would you try another book written by Bill Bryson or narrated by Bill Bryson? yes, I am a fan of his, read everything else and have bought his very latest, and that was after giving up on Journeys English! 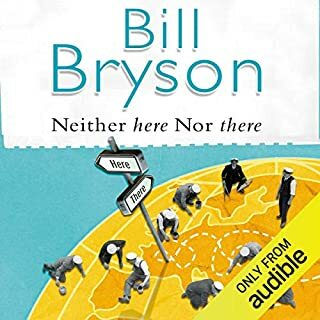 Would you ever listen to anything by Bill Bryson again? The subject wasn't for me. 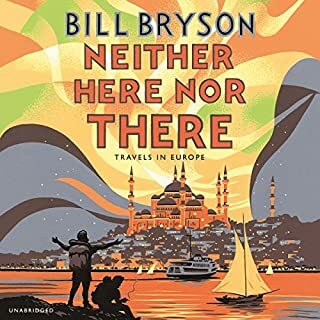 I have found Bill Bryson's other books entertaining and funny, this one is soooooo boooooring.